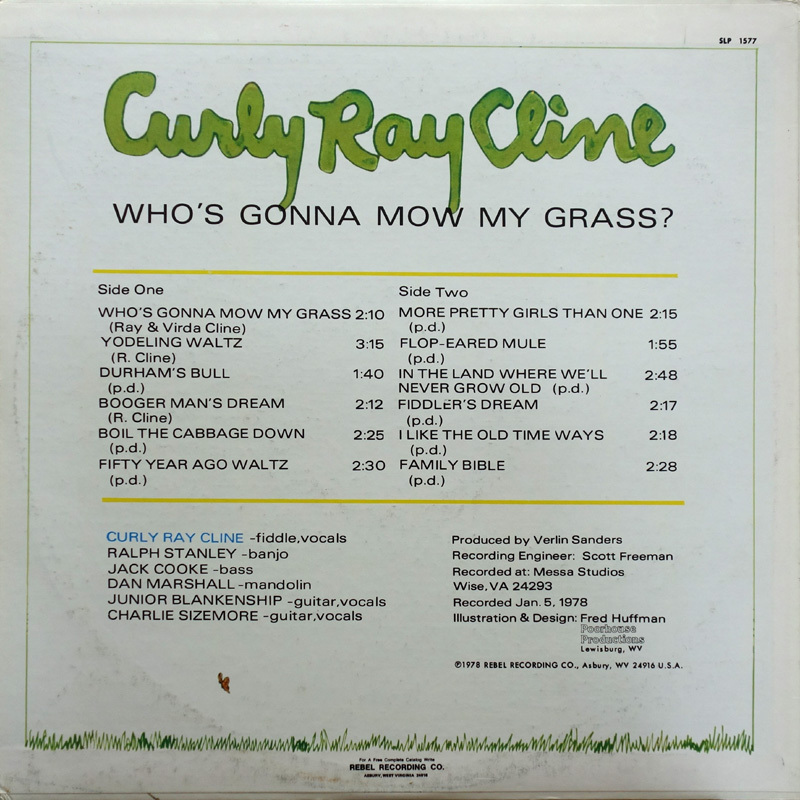 CME: Who's Gonna Mow My Grass? 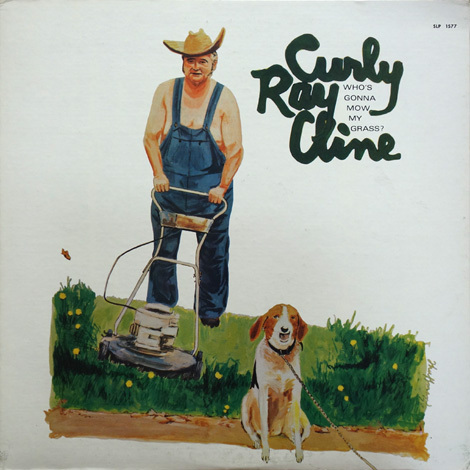 Curly Ray Cline - Who's Gonna Mow My Grass? Recorded on 5th Jan 1978 at Landon Messer's 'Messa Studios' in Wise, Va. This is a fairly typical Curly Ray album, with a smattering of vocal tracks and a chunk of fiddle instrumentals. 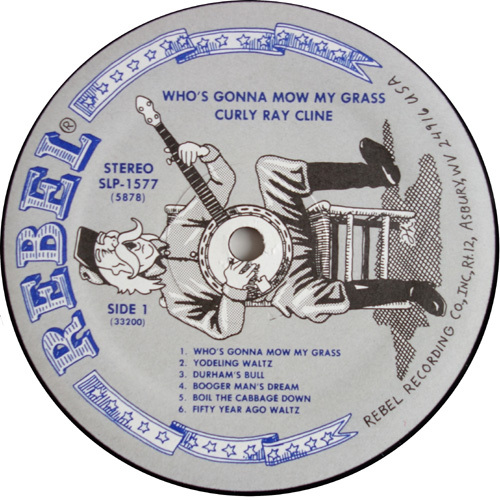 Who's Gonna Mow My Grass was often the 'featured' vocal track by Curly Ray at Ralph's shows of the time. 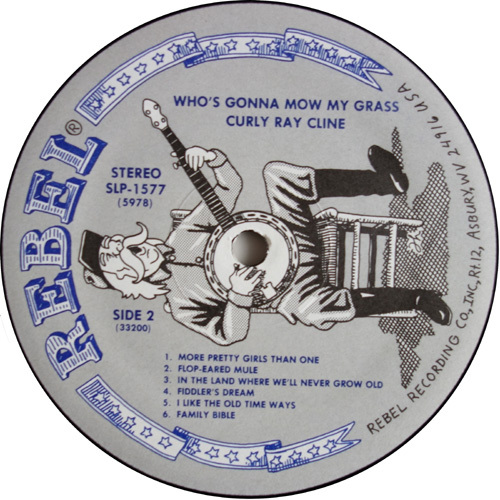 Fred Huffman, who did the artwork for this and It's Bread And Water For... LPs, later designed the commemorative Blue Grass Boy belt buckle design that Doug Hutchens made for Bill Monroe and his Blue Grass Boys in 1987.